Establishment media pundits keep blabbing that Hillary is a “pragmatic” politician who will “bargain” with the bad guys, “get things done”, and avoid “pie-in-the-sky” progressive programs. These Bernie Bashers whine that Sanders’ bold platform (universal healthcare, free college, construction jobs, etc.) would be “dead on arrival” in the party-of-no (GOP) Congress. Okay . . . but anyone who reflects on the past 5 ½ years will see that the ultimate pragmatist (Obama) accomplished ZERO with Congress anyway. So what difference does it make? 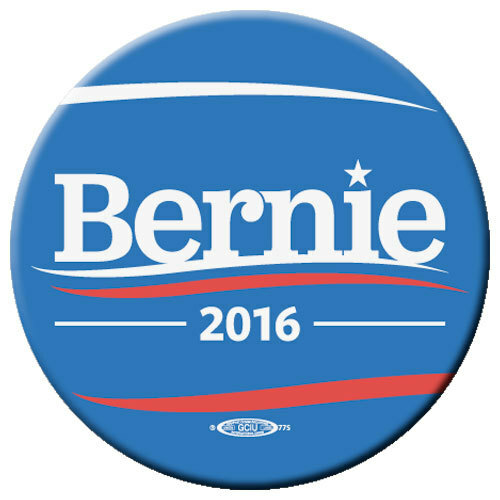 I mean if Congress will block everything, why not elect a REAL progressive with a REAL program for economic reform? At least then the Democratic establishment would have to stop lying to us and give genuine progressives like Bernie Sanders and Elizabeth Warren a chance to govern. In fact, history shows (Bernie preaches this daily) that truly progressive politicians spur massive Democratic dashes to the polls (look at what happened in New Hampshire). This means if Sanders is the nominee, a wave of Democratic Congressional candidates could coast on Bernie’s coattails into the House and Senate, retaking it from ossified, obstructionist Republicans (demonically possessed?). Moreover, a true-blue Capitol Hill would empower a President Sanders to initiate the type of sweeping New Deal changes this tortured country sorely needs right now. And there would be no repeat of what transpired during the Obama Care fiasco, when captured Democrats like Senator Ben Nelson sold the store to insurance lobbyists, leaving Americans holding the bag (with a crappy healthcare law inside). Why? Because conservative voters purged purple-state “republic-RATS” two years ago, purifying the Democratic Party of these imposters. So the next crop of Democratic majorities in the House and Senate will be bull-proof, true-blue progressives who will not only endorse Sanders’ FDR-esque proposals, but whisk them through Congress with a minimum of sell-outs attached. (Side note: Ben Nelson was rewarded for his Obama Care efforts with a job as chief of the National Association of Insurance Commissioners. Salary? A million bucks a year). So the next time the Washington Post, New York Times or Daily News crows that Hillary will “get things done” and Bernie won’t, don’t be fooled. Bernie is the ONLY candidate who will get things done, because he’s the only real progressive running for president of the United States, which means he’s the only “Democrat” with coattails long enough to whip Republican majorities out of Congress. Finally, code words like: “pragmatist, deal-maker, compromiser, bargainer, etc,” particularly when applied to politicians, and especially these days, are euphemisms for “experts” extremely adept at creating the APPEARANCE of progress, while really just spinning the wheels of state. These shibboleths should set off alarm bells for citizens who want real change instead of shadow dances, Kabuki theater, and puppet shows. The status quo has been spinning its wheels (and pulling our chains) far too long for anything else folks.